The thought of hitting the open road in the comfort of a luxurious recreational vehicle has long held more than a little appeal. Purchasing an RV, however, is a major step that requires careful consideration. While we may be in the business of storing the sedentary RV, offering the best terms to our Redlands, CA clients, we also speak with a number of people every year who are out doing their homework. We have put together a few tips for those considering an RV of their own. Who will be using the RV on a regular basis? Buying a large RV when the kids will be grown and gone in just a few years may leave you with a vehicle beyond your needs - and price point. What amenities and options are an absolute must? Is it important that you have a full refrigerator, or will a mini-fridge do the trick? Will you do your laundry on the road or at a laundry? What type of RV best fits the above needs? One that you drive or one that you tow? What is your budget? There are many RV models available with price points to suit every budget. You don't want to spend more than you're comfortable with, but you don't want to "budget-shop" this important purchase. Where will you store your RV when it is not in use? Many of our surrounding cities do not allow for curbside RV storage at your residence. The purchase of an RV might seem straightforward, but many factors should be considered for confidence that you are beginning a great journey. 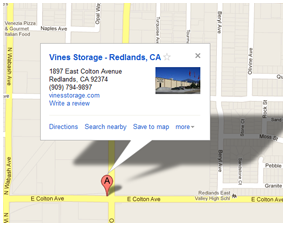 For information regarding storing your RV in Redlands, contact us.